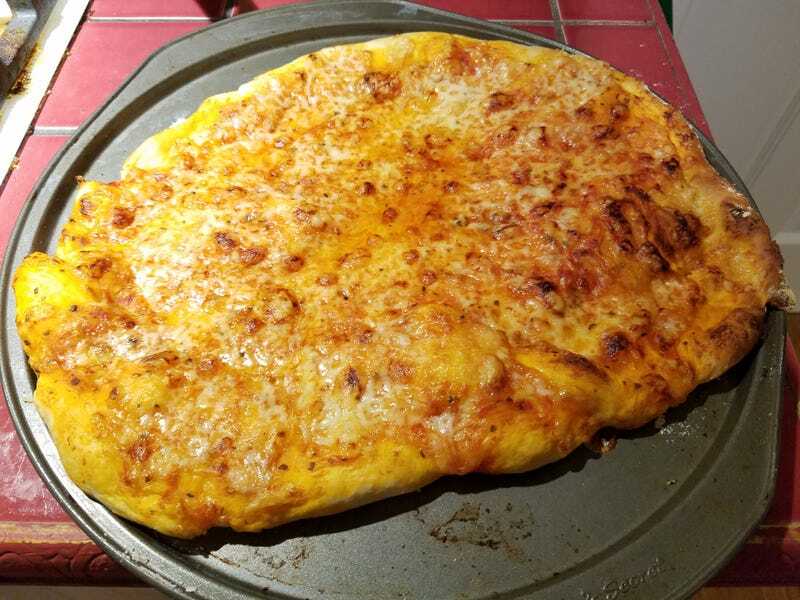 The dough was too sticky, so the shape got a little funky. Freah fontina cheese and homemade pizza sauce, though. The Jiffy box dough was the only downfall of the entire thing, so I’m doing that myself next time. Tastes fantastic, though.